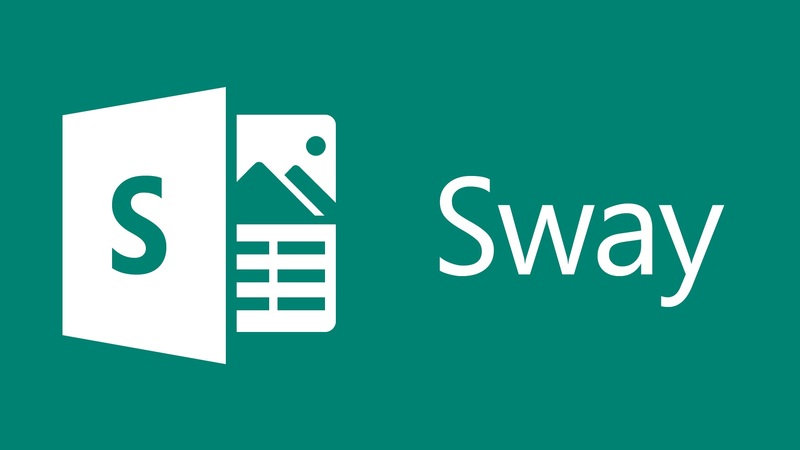 Sway is a presentation like program from Microsoft, but it is lighter and more about sharing your creation, stories, reports and more on the web or with your friends. The app is free to download on a variety of platforms and requires you to create a Microsoft account, which is also free. Once you’ve installed the app, click “Create New” to start a new project, and you’re going to see the options laid out as cards. There are options for adding text, video and images as well as insert tweets, embed videos from online sites and more. The Windows 10 version is drag and drop so you just need to drag the content from the cards to your presentation. All the tiles you drag are automatically arranged by Sway. Aside from the simple drag and drop, Sway also offers several options to customize your presentation. All the cards have options to add links, captions, text and bullets. The web and Windows 10 version of the app has labels on the top that let you switch the design and content functions. The Insert function is particularly useful because clicking it gives you access to online resources like your OneDrive account, Flickr, Bing, YouTube and Facebook. To change the colors and other elements, just go to the Design option. You can also go to the Navigation tab to change your presentation’s orientation. If you’d like to try a different layout, click the Remix button and the app will change the layout. If you don’t like the result, click undo. There’s also an option at the top right so you can play the presentation once you’re done making it.